"We'll make her understand clearly that she's in the wrong place and she lacks the expertise. With her pseudoscientific theses, she is unqualified for this office. We will see that we continue to support the purpose of the foundation and concentrate less on provocation." Magnus Hirschfeld is a name that’s been scattered through a number of our articles, and with good reason. He left behind a rich legacy; he became a cornerstone of his community and made history with every day he lived. Because of this, many people have worked to remember not only the man himself but also the values he lived by. Most notably, his motto “through science to justice”, has led many to preserve his legacy through education on queerness. It is here that we find the topic of this week’s article: The Magnus Hirschfeld Foundation. For background, we’ll first suggest that you read our article about Magnus Hirschfeld in order to understand more about the man himself and why the foundation exists. For those who are unable, we will give you a brief overview of his life. Magnus Hirschfeld was a German scientist and sexologist who was born on the 14th of May 1868. He grew up to become one of the most recognized and noted queer scholars of all time. As a gay Jewish man who lived through the Second World War, he lived an interesting life. He was the first in many respects; he helped establish the first gay rights organization, the first journal to deal with sexual variation, and the first sexology institute, the Institut für Sexualwissenschaft. The Institut für Sexualwissenschaft would become one of his greatest achievements. It was a hub of learning and researching queerness in all its’ different facets, and it too has an article dedicated to it. To summarize, the Institut für Sexualwissenschaft was a library, a clinic, and for some a home, dedicated to supporting the queer community. Because of the prevalence of poverty within the queer community, the Institut für Sexualwissenschaft would allow a sliding scale for rent, even offering free rooms on occasion. But it did not last. In 1933, all the research held within the Institut für Sexualwissenschaft was burned by Nazis. Magnus Hirschfeld was forced to leave Berlin for France to avoid being sent to a concentration camp. He spent the rest of his days in France trying to rebuild what he once had. So to say the Magnus Hirschfeld Foundation has a lot of legacy to cover would be an understatement. But by all accounts, they have had the opportunity to do some amazing things. Based on the pillars of research, education, and remembrance, the foundation has been able to make great strides. They have organized workshops and lectures, sharing about Magnus Hirschfeld’s life and spreading more information about the lives and struggles of queer people today. The organization has gotten the chance to help fight homophobia in today’s world while also preserving the past. Their efforts include compiling video interviews with queer people and publishing biographies of incredible people from our history on their website, including Lili Elbe, Johanna Elberskirchen, Karl-Heinrich Ulrichs, Rudolf Brazda, Else Ida Pauline Kienle, Hilde Radusch, and Magnus Hirschfeld himself. They are recognized throughout their country as a bastion of queer knowledge and have worked with the government to expand rights for all queer people in Germany. In September 2017 the AfD (Alternative für Deutschland) party was voted into German parliament. They are a far-right party who ran on a platform that, according to the Wall Street Journal, “urges Germany to close its borders to asylum applicants, end sanctions on Russia and to leave the EU if Berlin fails to retrieve national sovereignty from Brussels, as well as to amend the country's constitution to allow people born to non-German parents to have their German citizenship revoked if they commit serious crimes.” This party is described by many, not inaccurately, as Neo-Nazis. The German democratic system is set up in a way that when a party is voted into German parliament, they are given chairs in various federal organizations and foundations. One of these is the Magnus Hirschfeld Foundation. The person they chose for this position is Nicole Höchst, a teacher, and politician. Höchst is firmly against everything that the Magnus Hirschfeld Foundation stands for. She has been described as follows: “[Nicole Höchst] is as active on Facebook as hardly any other candidate of the AfD. However, a consistent political profile cannot be recognized." Despite that, she has been able to make it clear that she is firmly and vocally against the teaching of diversity in schools. Additionally, she is against adoption rights for queer couples. She has said, “Studies show that homosexual men are more likely to be pedophiles.” Though the source she cited for this statement was reprimanded by the Press Council of Germany for this piece as it was factually incorrect, she has yet to correct herself. She calls education about queerness in schools “an attack on the children's souls". She has also said, “if there are more than two genders then I’m a rainbow-farting unicorn”. In response to her appointment, member of the Board of Trustees of the Magnus Hirschfeld Foundation Axel Hochrein told Buzzfeed "We'll make her understand clearly that she's in the wrong place and she lacks the expertise. With her pseudoscientific theses, she is unqualified for this office. We will see that we continue to support the purpose of the foundation and concentrate less on provocation." A member of a party known to have ties to, and in fact described as Neo-Nazi’s, is on the board for the Magnus Hirschfeld Foundation. If that doesn’t sit right with you then you are paying attention. The rise of the far-right is not theoretical, it is not toothless, and it is not just some men in their mother's basements afraid to come out from behind their computer. These people are real. They are running for office and they are getting positions in government. They are not only creating their own organizations, they are infiltrating ours. 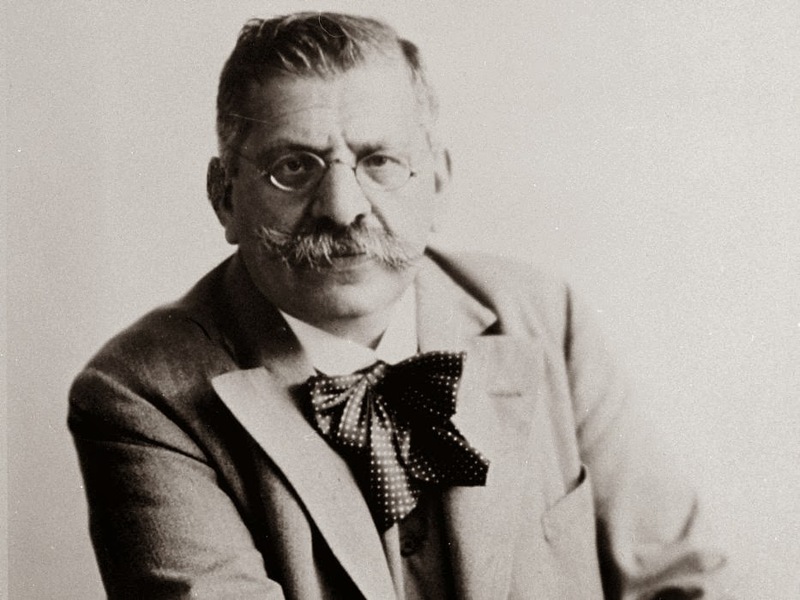 Research, education, and remembrance are the three pillars of the Magnus Hirschfeld Foundation. Someone who has been given a chair in this organization does not know enough about research to cite credible sources. She believes education about diversity will hurt children. And she dishonours the memory of Magnus Hirschfeld. There is not much left to say other than to remind you again of Magnus Hirschfeld and of his most famous belief, “through science to justice”. He believed in this sentiment so strongly that he had it put on his gravestone. He believed that the best way to fight injustice and inequality was through research and the sharing of facts. It is clear that in Germany and with Nicole Höchst that history is being made. The choices being made will not be forgotten, and they may not be forgiven. History is watching; we’re all watching. Melina Delkic. (2017, Sept 25.) In German Election, Neo-Nazi Fringe Rises –And Here's Why. Ofer Aderet. (2017, Sept 24.) 'Nazis in the Reichstag': All Eyes on Far-right AfD Party as Germans Vote in National Election. Vera Müller. (2017, Aug 29.) Göttenbach-Gymnasiasten heizen Kandidaten kräftig ein. Juliane Löffler. (2018, Jan 18.) Diese homofeindliche AfD-Politikerin sitzt jetzt in einer der wichtigsten LGBT-Stiftungen des Landes.